When a nurse steps forth to adopt a beautiful baby girl whose drug-addicted mother left her with a condition known as neonatal abstinence syndrome, her actions—and the miracle of this child who survived—should be front-page news. Baby Gisele was born very early. She was just 29 weeks old and weighed only two pounds, and yet she survived. Throughout her time at Franciscan Children’s Hospital, Gisele’s only visitor was a nurse, Liz Smith, who is the director of nursing at the hospital. Now Gisele has a new mommy, and her name? Liz Smith. Celebrating life takes all kinds of heroic deeds, and certainly this is among the most genuine loving acts we have heard of in this age of disposable babies. God bless Liz and thank God for Gisele. Three cheers for love! 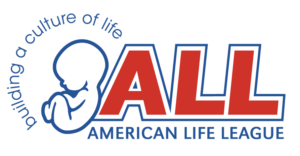 American Life League is the nation’s oldest grassroots, Catholic, pro-life organization. Its president, Judie Brown, has led the organization since its 1979 beginning. She has served three terms on the Pontifical Academy for Life—appointed twice by Pope John Paul II and again by Pope Benedict XVI. For further information or for an interview, contact Katie Brown at [email protected] or call 540-659-4171 ex.108.